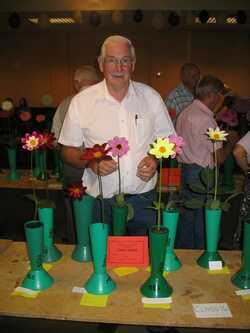 The Single Bloom Show starts the showing season for the society. 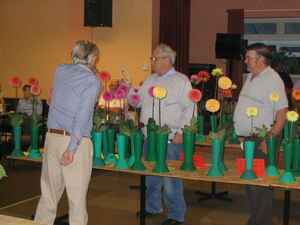 We had 140 entries from 19 exhibitors with entries in 18 classes. 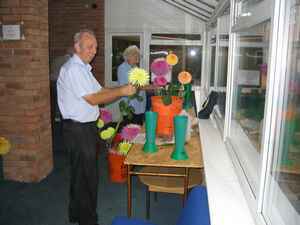 Below we see society chairman Ron staging his Weston Miss exhibit. No wonder he is smiling - he knew he had a winner! 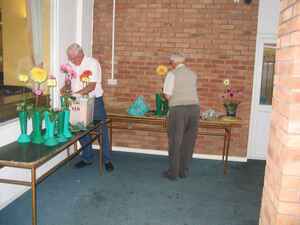 Ken and Les setting up. 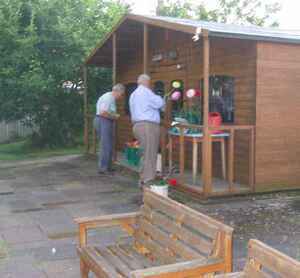 Some people prefer to set up outside. 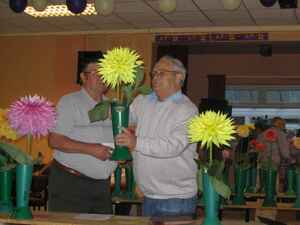 We are grateful to Maurice Woodfield and Ted Woodbridge for judging the blooms. Above Ted looks keenly at a giant dec.
Below it is serious now, the rings are out! 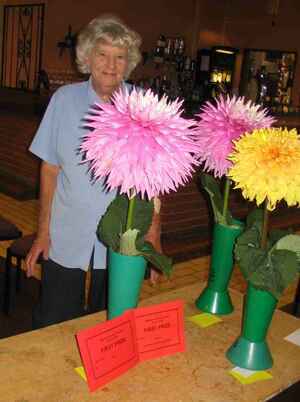 June Davis - winner Class 1 and Best Exhibit in show. Gabby Hayes wins Class 7 with Toy Boy. Using that umbrella obviously worked! 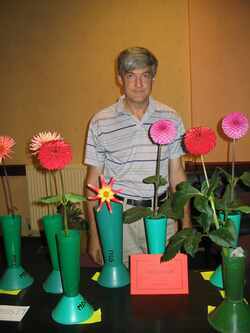 He also was Runner Up, best exhibit. Ask him when you see him as to exactly what he did with the umbrella! Peter Clubb wins Class 4 - obviously a difficult class, Peter was the only entrant! 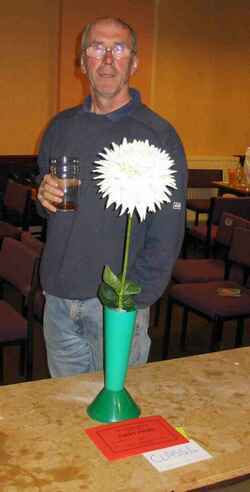 However he still got 1st prize. 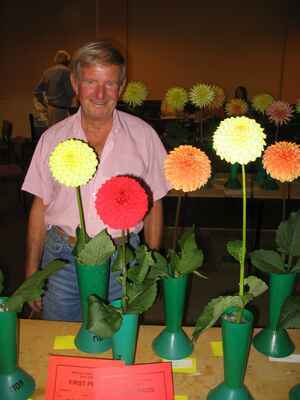 Ken Smart wins class 14 - the collerette dahlias with Tees Brookes Red Eye. 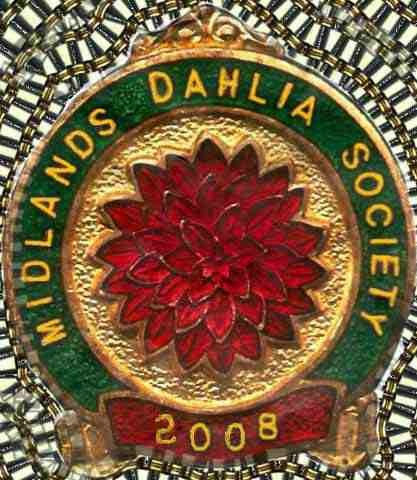 Novice small dahlia class winner Rob Cheetham. Mary's Jomanda does it again. I got one! It goes to 'show' - exhibit what you have, you may just be better than the other guys.